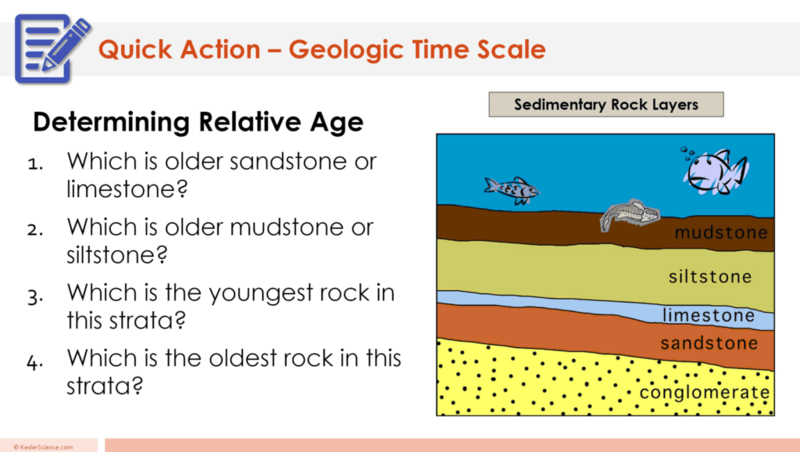 At the end of this geologic time scale lesson plan, students will be able to describe how the relative and absolute age of rocks and fossil record provide evidence of Earth’s geologic history, discover how the Earth’s geologic history is classified, and give examples of major events in the Earth’s geologic history. Each lesson is designed using the 5E method of instruction to ensure maximum comprehension by the students. 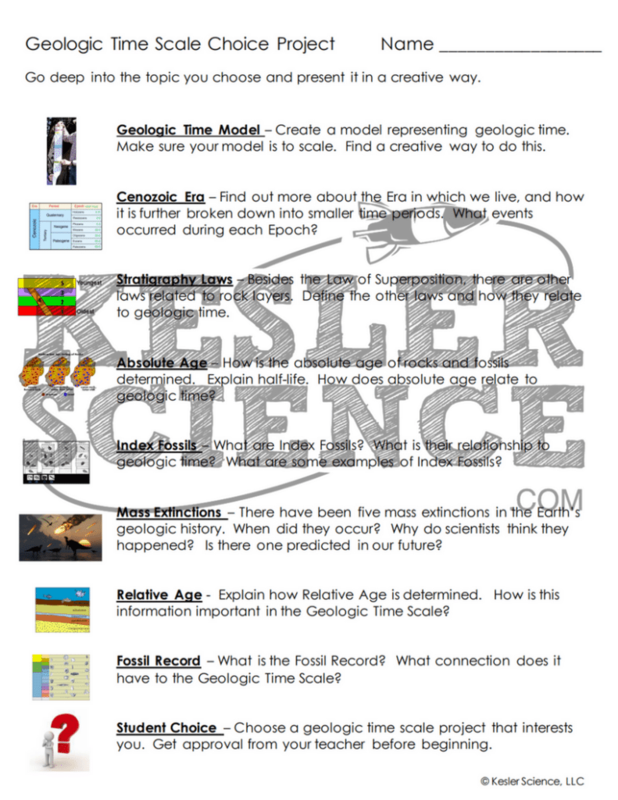 The following post will walk you through each of the steps and activities from the geologic time scale lesson plan. The teacher can model this activity first. You can do it with the class or prepare it prior to class. Cut off 2-3 feet of receipt tape. Length doesn’t really matter. Divide the tape into increments of years (ones, fives, or tens). Depends on your age. Define “chronological time” for students. Draw pictures related to important events in your life in the correct place on the timeline. Now have the students make a timeline of their lives. Have them add up important events with pictures. Make sure they put them in chronological order. 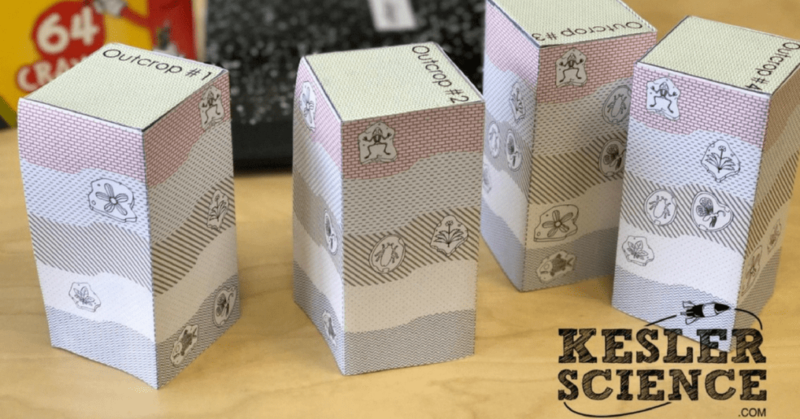 Tell students they will be learning about the geological timescale of the age of the Earth and how scientists determined it. Explain the difference between geological time and historical time. 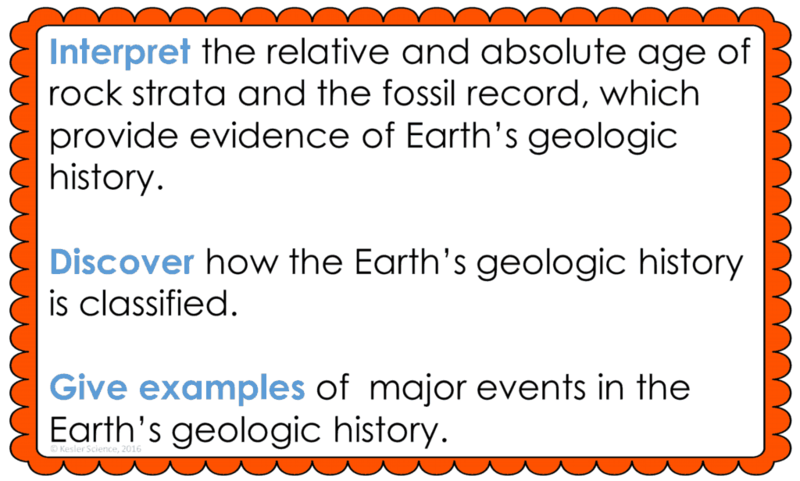 The teacher will help to clear up any misconceptions about the geologic time scale. A major misconception is that students probably think people and dinosaurs lived at the same time. This student-centered station lab is set up so students can begin to explore geologic time scale. 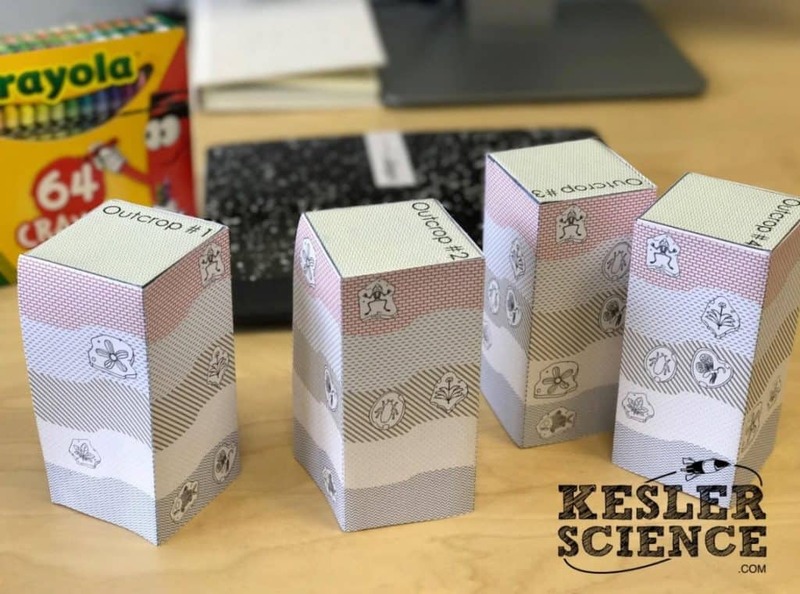 Four of the stations are considered input stations where students are learning new information about the geologic time scale and four of the stations are output stations where students will be demonstrating their mastery of the input stations. Each of the stations is differentiated to challenge students using a different learning style. You can read more about how I set up the station labs here. Students will be working in pairs to better understand the geologic time scale. Students will be examining a number models of different layers of the earth. From the models, students will make observations as to which layer is older, younger, and which fossils are older/younger. Students will record their observations on their lab sheet. At this station, students will be watching a short video explaining the laws of relative rock dating. Students will then answer questions related to the video and record their answers on their lab station sheet. For example: What is the law of superposition? What is the law of crosscutting? What is the law of inclusion? The research station will allow students to find out information about the history of the Earth. Students will be able to click on sections of a clock that is used to represent different time periods that occurred on Earth. Students will be instructed to complete a few tasks and record answers on their lab sheets. This station will provide students with a one page reading about how old rocks are. 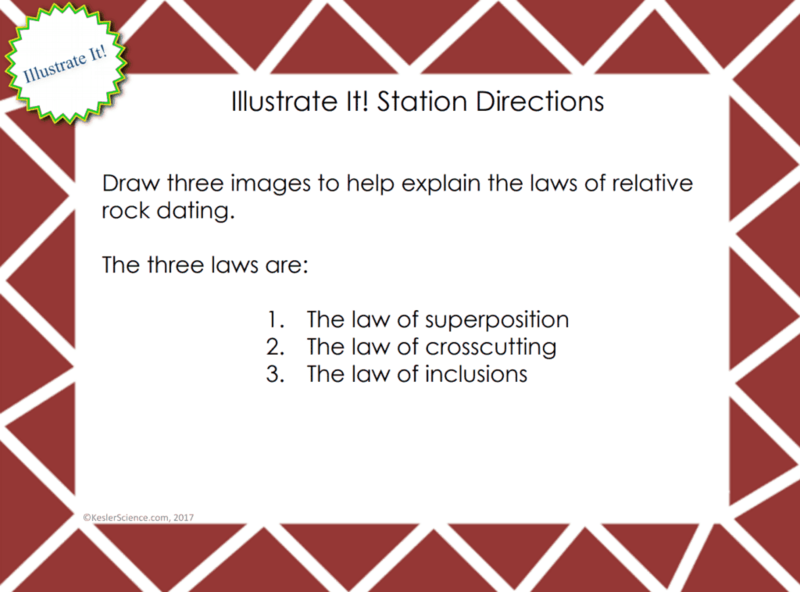 Students will read about relative and absolute dating, as well as superposition. These are what scientists consider when dating rocks. There are 4 follow-up questions that the students will answer to show reading comprehension of the subject. The assess it station is where students will go to prove mastery over the concepts they learned in the lab. The questions are set up in a standardized format with multiple choice answers. Some questions include: Which fossil would make the best index fossil? Which law of relative dating is the student referring to? Which statement is incorrect about the Geologic Time Scale? Which era best represents when humans first appeared on Earth? Students who can answer open-ended questions about the lab truly understand the concepts that are being taught. At this station, the students will be answering three task cards: How do geologists use index fossils to determine the age of rock strata? What is the difference between relative dating and absolute dating? Briefly, describe the geologic time scale. Your visual students will love this station. Students will sketch three images to explain the laws of relative rock dating. 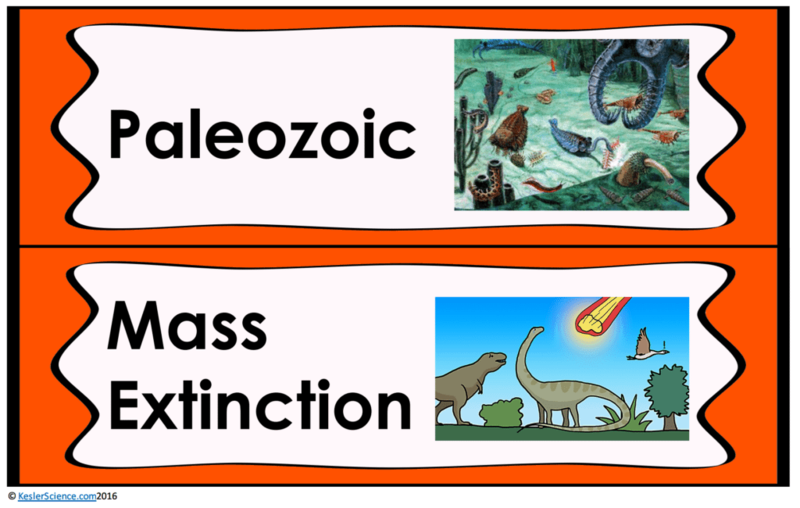 The organize it station allows your students to organize the type of relative dating to descriptions that match. The explanation activities will become much more engaging for the class once they have completed the exploration station lab. 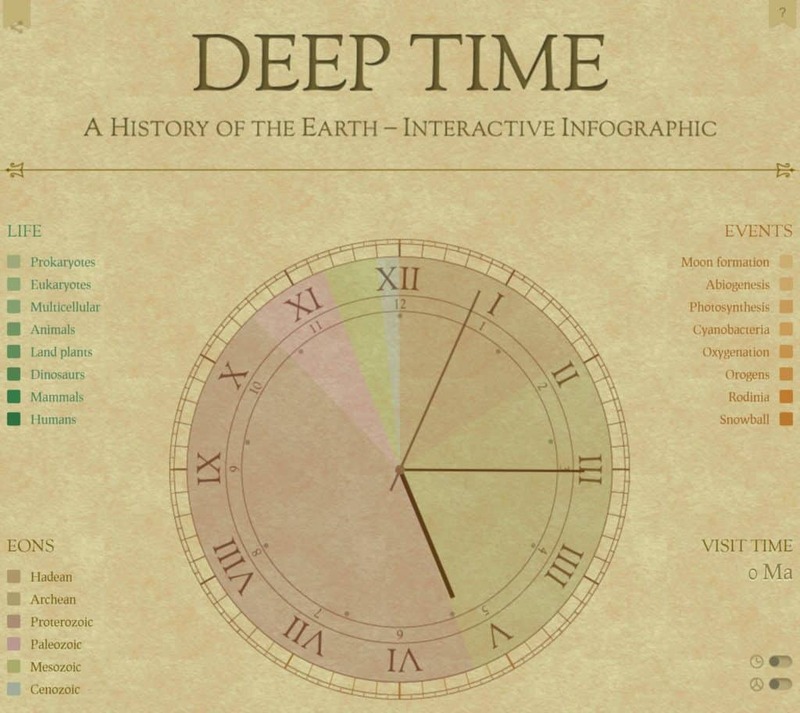 During the explanation piece, the teacher will be clearing up any misconceptions about geologic time scale with an interactive PowerPoint, anchor charts, and interactive notebook activities. 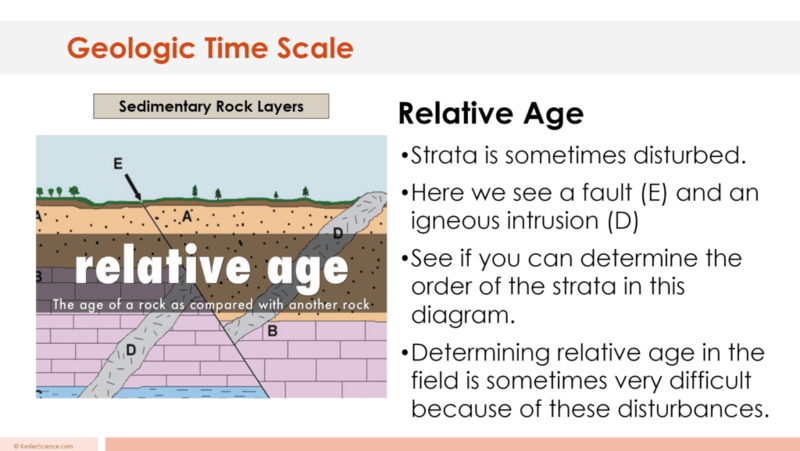 The geologic time scale lesson includes a PowerPoint with activities scattered throughout to keep the students engaged. The students will also be interacting with their journals using INB templates for the geologic time scale. Each INB activity is designed to help students compartmentalize information for a greater understanding of the concept. 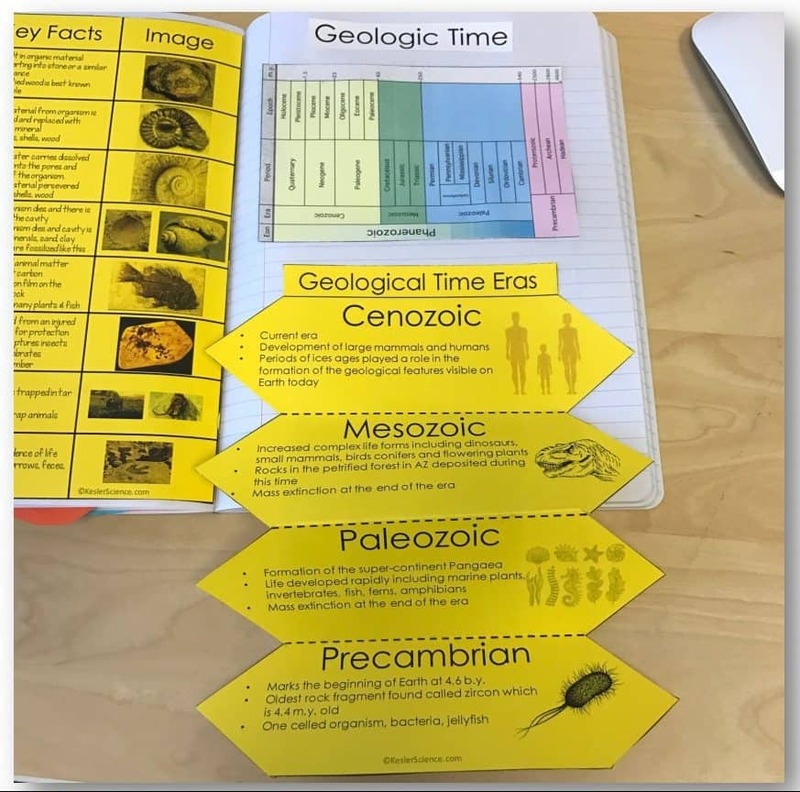 The geologic time scale INB templates allow students to focus their notes on the Geologic Time Eras.